With this in mind, fitness is in all our thoughts right now - how can we get fit fast, preferably without leaving the couch? While Motiv won't help you with this, it may well be the gadget you are looking for to track your fitness regime. Motiv is a fitness tracker that's shaped like a ring. Instead of having to strap a Fitbit to your wrist, or having to pretend your new Apple Watch is actually a fitness device, Motiv is a ring that, once worn, will monitor your heart rate, track steps and how long you have been active for - and all without looking like you are wearing a police tag thanks to something unsightly you did while celebrating the new year. 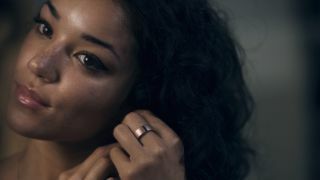 Its makers believe that the new form factor in fitness tracking is a ring, as it's "small, durable, waterproof, allowing you to effortlessly measure activity and sleep, and not interfere with daily life." They're not wrong about the size. The Motiv Ring is just only 8mm wide and packed into this diminutive chassis is a custom lithium ion battery (you should get 3-5 days' use out of it), Bluetooth, a three-axis accelerometer and a three-color LED indication for charging and syncing. It's waterproof to around 10 metres, it's made of ultralight titanium. And don't worry if you have fat fingers, the Motiv Ring comes in seven sizes and is available in Rose Gold and Slate Gray. Smart ring technology is not new, but it is still a little gimmicky. We're hoping the Motiv Ring can live up to its specs. It's on show at CES 2017, so we will try it out on the show floor.